Holiday time in the our household doesn’t just mean a holiday for us Going to Sun Valley is like going to summer camp for Puggy & Daisy (Pug x and Jack Russell) – they absolutely love it! Both of them run around like mad things playing with all their new friends. Mom & Dad can relax and have a good time knowing that the “kids” are being well looked after & fed and are warm & safe. Sun Valley is home-away-from-home! I have been going to Sun Valley Cattery for over 10 years and love every minute of it. I can’t wait to get back there at the end of the year when my humans go on holiday. I am treated like a king and am spoilt rotten. And the food – wowee – it’s great! The other felines and I get on like a house on fire and we have great fun together. Roll on December! With kind regards and miaows! My two children, two cats, JellyTot and Liquorice, spent 53 days at Sun Valley Kennels last year and this included Easter. 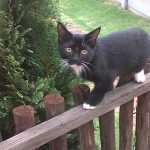 JellyTot, then 3 years old, and Liquorice, only 6 months old, were loved and cared for as if they had been at home with me. Sun Valley had been given permission upfront to use their Vets should it be required. Liquorice decided right in the beginning to pine for me and ended up at the Vet on Easter Sunday after an overdose of fur ball decided to give problems as she had licked herself so clean (over groomed herself)! I was kept posted throughout. The staff were always friendly and one could hear the love for animals in their voices every time I chatted to the on the phone. My children came home in tip top condition. I recommend Sun Valley Kennels to everyone! Hello everyone, my name is Impy, I like to go on holiday at Sun Valley Kennels. My owners know that I am someone very special and want only the very best holiday care for me. 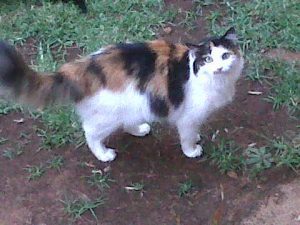 My last home was a place called the SPCA so the first time I went to Sun Valley Kennels I was very scared, I thought my owners had abandoned me again. The owners of Sun Valley Kennels were very patient with me and I soon became friends with Helen – she really made me feel welcome and spent time with me and took me for my daily exercise. Now when my owners say that it is holiday time I look forward to going to my special home away from home where Shelley, Cath, Helen and her friendly helpers always make me feel welcome. Last year I was very ill and my owners were very worried about me but they had to go away. They entrusted me to Sun Valley and, especially to Helen’s care. I needed a lot of medical care and special meals. I got it all. 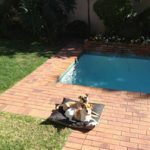 My owners said I looked so much better when they collected me and felt even happier knowing that Sun Valley Kennels had been their first choice for me. By wagging my tail my owners know that if they have to go away again I will only go to Sun Valley Kennels where I and all my other four legged friends have a marvellous time. Under the watchful eye and caring hands of Helen and her stn aff I always get Five Star treatment. I am happy to go home but look forward to returning because of all the friends I have made at Sun Valley Kennels. Thank you Sun Valley kennels and all the people working there, I have heard my owners speak about going on holiday again, so I will see Shelley, Cath, Helen and all her helpers again , real soon. I am so excited! I arrived in Johannesburg from London in August 2010 and in December 2010 was travelling back to the UK for the Christmas Holidays. Sun Valley was recommended to me by a work colleague of my husbands. 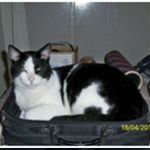 When I arrived with my two boys (cats), Shadow and Bailey, we were warmly greeted and invited to view the 'accommodation' that they would be staying in. I was so impressed with the size of the enclosure and the comfortable conditions of their new home for the next 3 weeks. 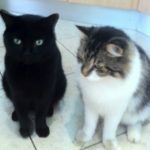 Bailey and Shadow returned home from their stay looking well fed, well groomed and very content. As they do with every subsequent stay, which has been many. All the staff are extremely friendly and helpful and show a genuine affection for all the animals that stay with them. I would not dream of sending 'my boys' to any other Cattery/Kennels, as I cannot imagine any where else looking after them with as much love and care as all the staff at Sun Valley do. We have had the pleasure of dealing with Sun Valley Kennels and Cattery for the last 10 years. Cath and her staff are always professional and friendly, and our animals are always in tip top condition when we fetch them after our holiday. The establishment is in an immaculate condition. I will recommend Sun Valley Kennels and Cattery without hesitation to any animal lover. Jethro and Lili, consider Sun Valley their second home. The team knows them and loves them. They spend their days playing with other little dog, and their nights together, even with a heater in the winter. They come home happy and in good shape. Lili also gets her daily thyroid pill so we don't have to worry about her health. Sun Valley really gives us peace of mind when we're away. We have been using Sun Valley for a number of years now and our experience with the team has always been the same. Professional, organised, friendly and, most importantly, all about the welfare of our pets. The individual attention that the animals receive has always impressed me and any tiny niggle or illness has been picked up and treated properly. Although the whole process can be very traumatic for animals, we are always sure that our pets are in the best possible hands. We will continue to use Sun Valley and we recommend them without hesitation. My Pet Goes On Holiday Too! When I go on holiday, it is so nice to know Noodle (cat) is going on holiday at Sun Valley too! My kids always tell him he's going to a fancy hotel. Compared to other catteries with no or little outdoor facilities, it is reassuring to know Noodle is in a garden all day, every day!! Whenever my husband and I were going on holiday, we could feel rest assured that our two cats would be going on holiday too! We would tell our friends that our cats were visiting the "Cat Spa" as every time they would come back happy and relaxed. We have left our cats with the Sun Valley team numerous times and have really appreciated their care, organisation and friendliness. We have been taking Sox to Sun Valley for over ten years and are very happy with their service. The staff are all very friendly and helpful and Sox is treated like a king. We are always happy to go on holiday at the end of the year knowing that he is in good hands. The food is obviously very good because he always comes back looking fat and fit! Keep up the good work, Sun Valley! They are absolutely passionate about their animals and I know my baby is in safe hands. It is an absolute pleasure to drop my cat Moi at her kitty hotel, Sun Valley when I go away. I know that she is well looked after and is at “home from home”. The team are absolutely passionate about the animals and I know that my baby is in safe hands. It is a wonderful experience to know that I can go away and relax and not have to worry about Moi. 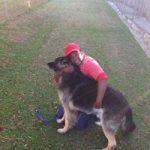 My family and I have been using Sun Valley Kennels and Cattery for a number of years now and have always been extremely impressed with the service and care they have shown us and our furry loved ones.